Please note: The issue content below is just a summary of the articles in the printed magazine. The articles are not available on-line. Please refer to the printed magazine for the complete article. 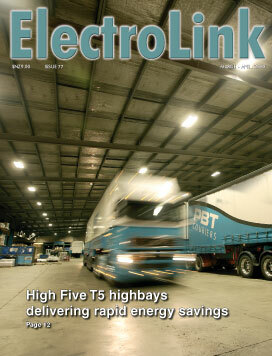 Competing purely on the price of fittings for industrial and commercial lighting projects is no longer a sure fire solution for winning work as end-users become increasingly savvy about the 'total life' cost of a lowest bid lighting solution. April 1 is D-Day for the electrical industry with the introduction of new electricity regulations, new classes of registration and the livening of a new disciplinary system. The changes coming in are the most far reaching since the Electricity act radically changed the compliance regime in 1992. 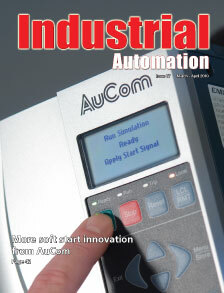 Leading the world in the development of soft starters has not just been a matter of technical brilliance for Christchurch-based AuCom Electronics. Much of the company’s success has come from being able to develop and refi ne the performance of its products by working closely with Kiwi customers. New Zealand’s ability to influence the development of international standards we adopt continues to be undermined by lack of funding and participation in the standards process by the very ministries that use the standards to enforce safety in industrial workplaces. Handheld thermal imaging systems are now being widely used to find problems, prevent unscheduled downtime, identify corrective action and improve plant safety in a wide range of commercial and industrial facilities. 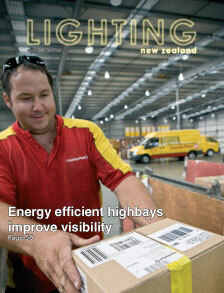 Energy savings achieved from an industrial lighting upgrade is one thing but more important, says New Zealand Post Properties national asset manager Keith Morris, is a quality lighting outcome. Once considered appropriate for decorative lighting only, LED is now an effective alternative for task and general lighting applications and this, say distributors, is reflected in a recent explosion of LED luminaires for general lighting applications. An 'eleventh-hour' regulation making it an offence to compromise the safety of electrical fittings through the placing of thermal insulating material has been included in the new Electricity (Safety) Regulations which come into force on April 1.